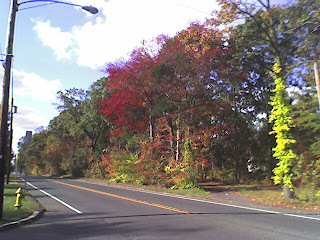 jason in jersey: Jersey is Beautiful in the Fall! Jersey is Beautiful in the Fall! 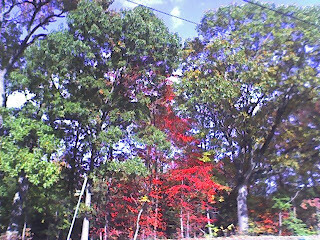 I'm not sure if the pictures from my phone do it justice, but the trees around here are beautiful right now! The best time to really see the vivid colors is late afternoon before the sun starts to set. I've never seen leaves with such a variety of gorgeous colors all together. I see these trees on my way to and from school everyday and I'm still amazed every day.